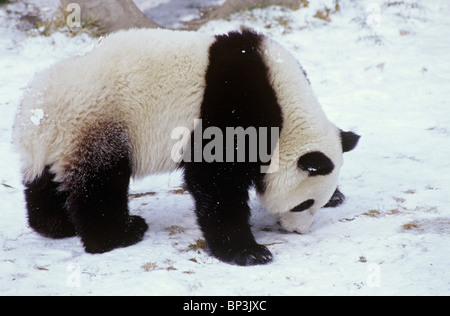 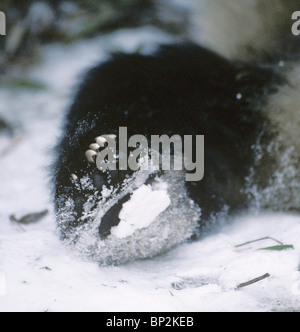 Giant panda sniffs snow-covered ground at Wolong China in winter. 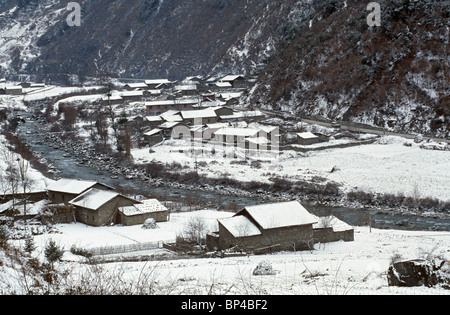 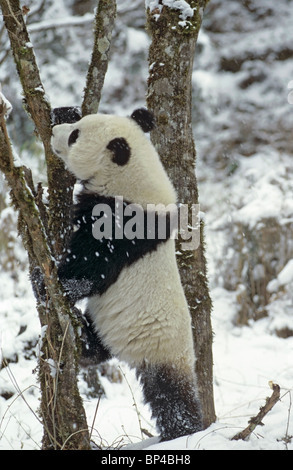 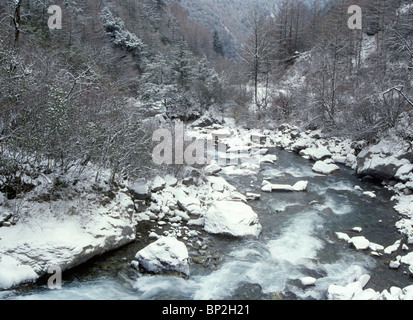 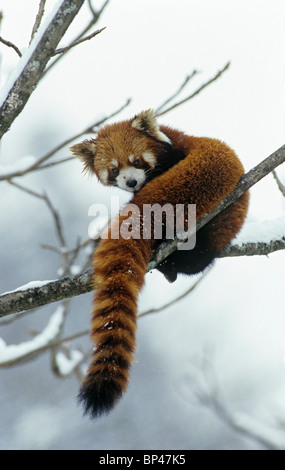 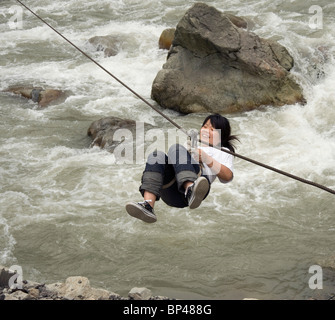 Pitiao River, Wolong Natural Reserve, Sichuan, China, after an overnight snowfall is a giant panda habitat. 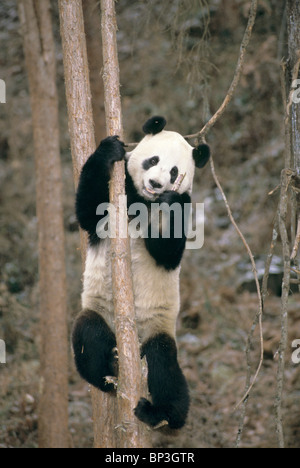 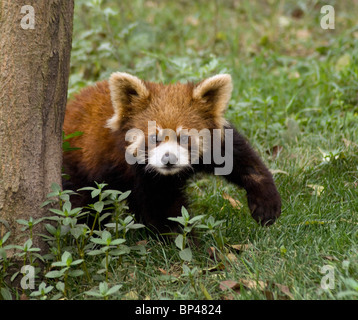 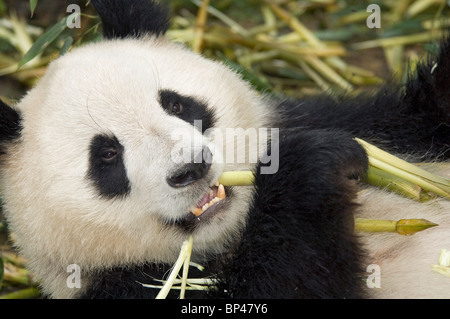 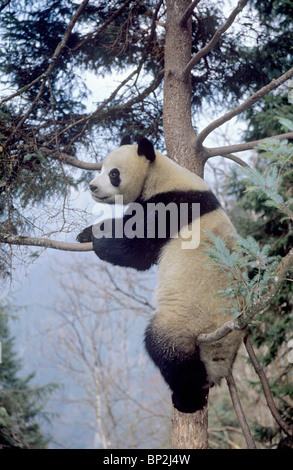 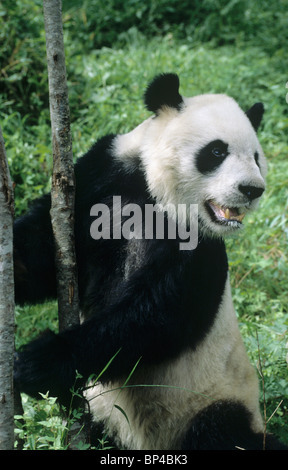 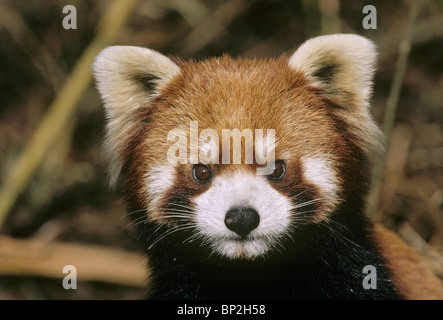 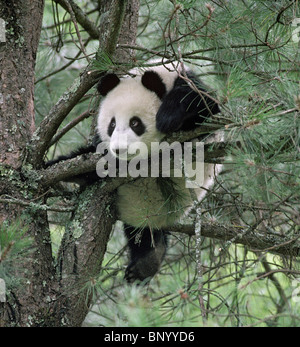 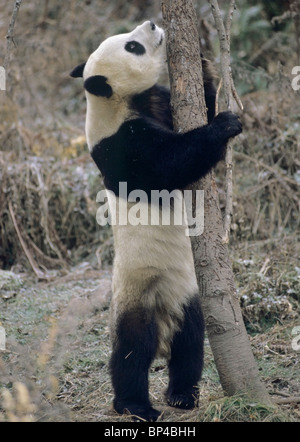 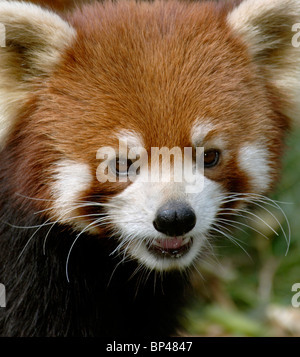 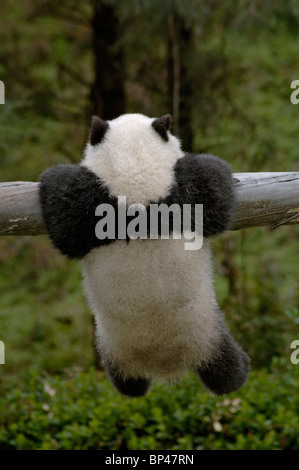 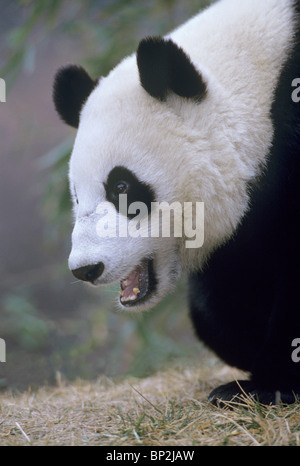 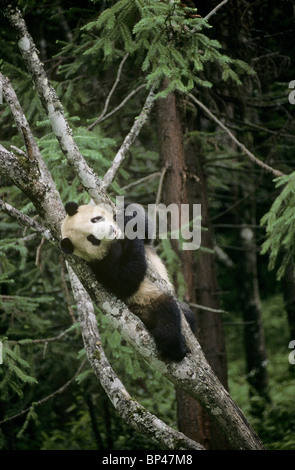 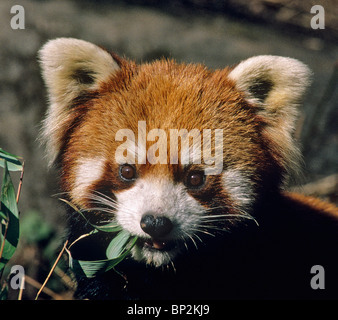 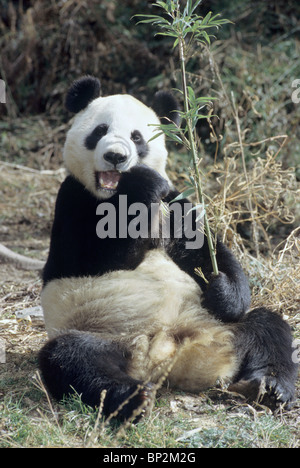 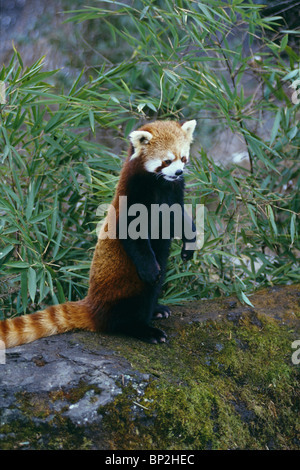 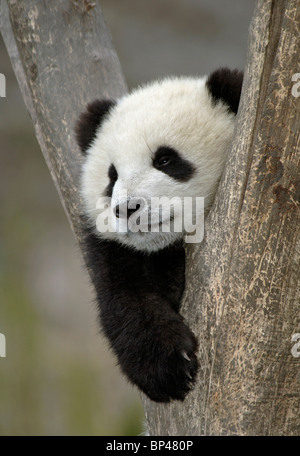 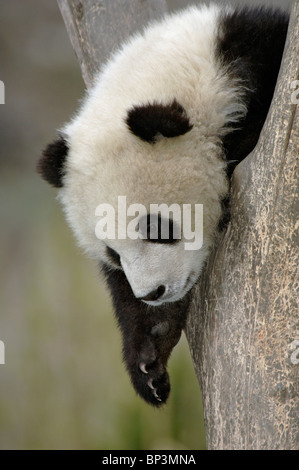 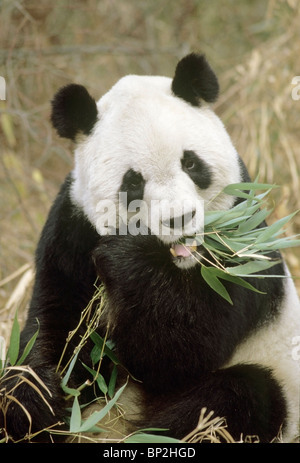 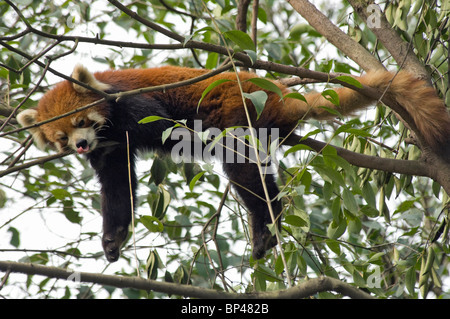 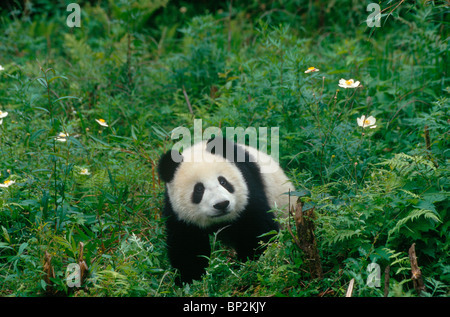 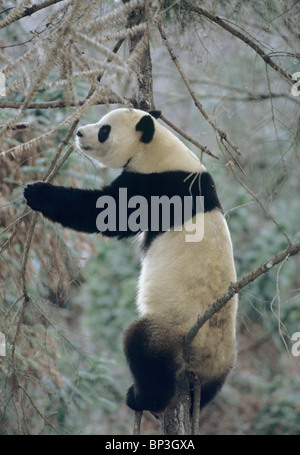 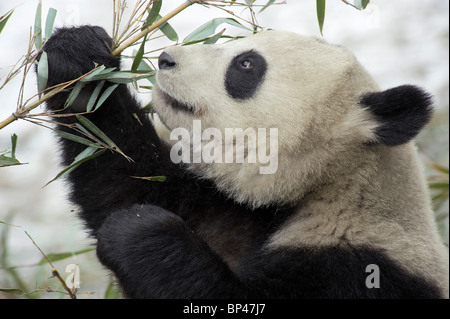 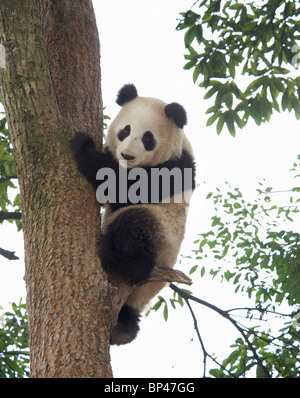 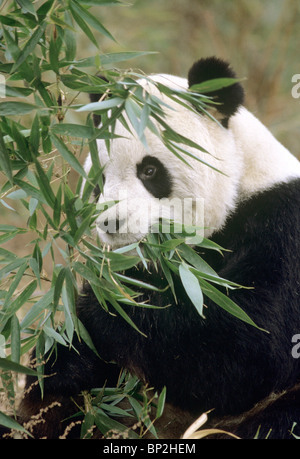 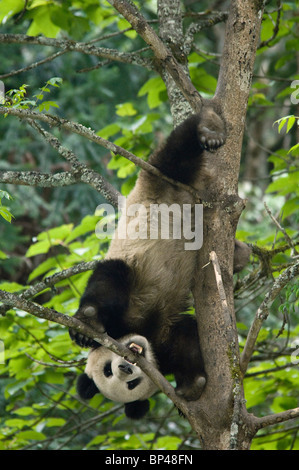 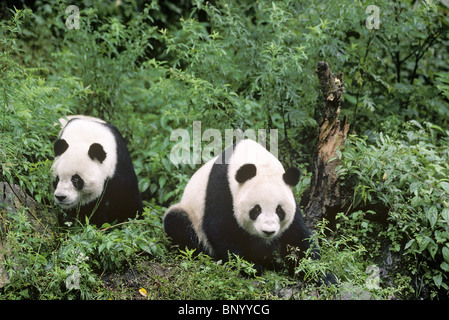 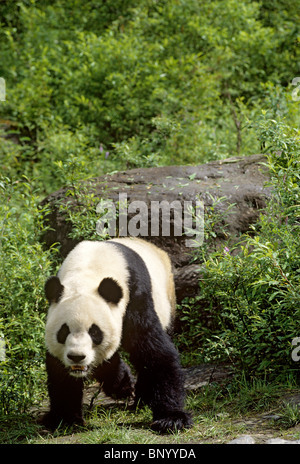 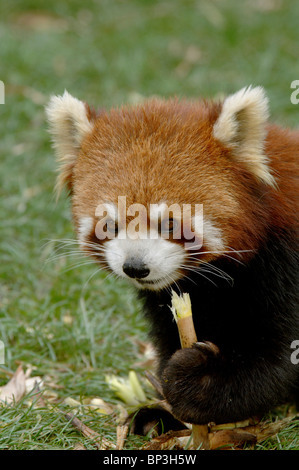 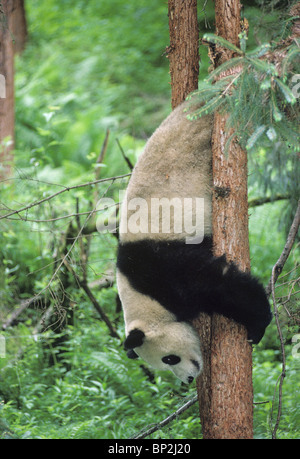 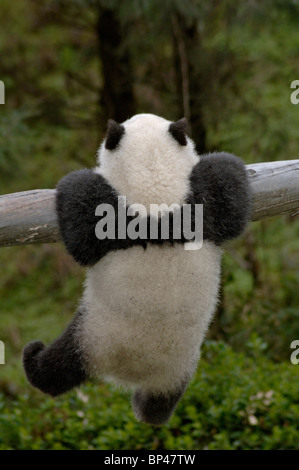 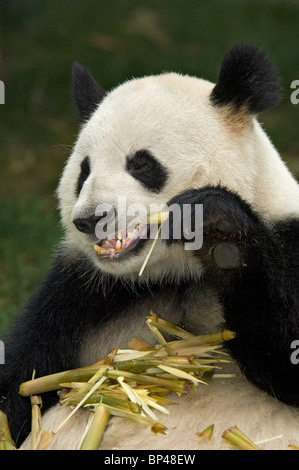 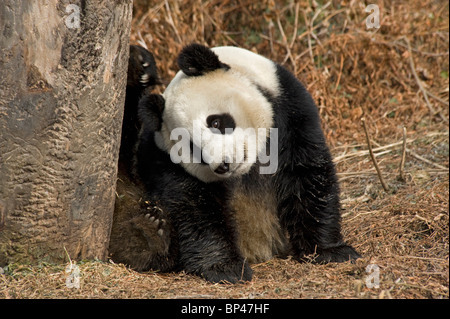 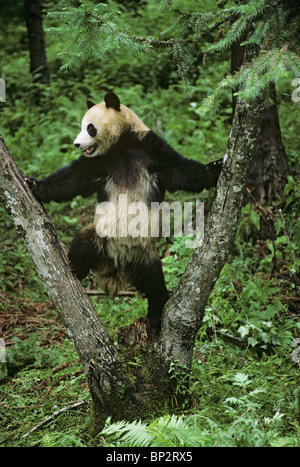 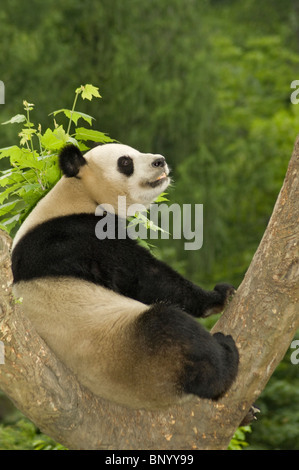 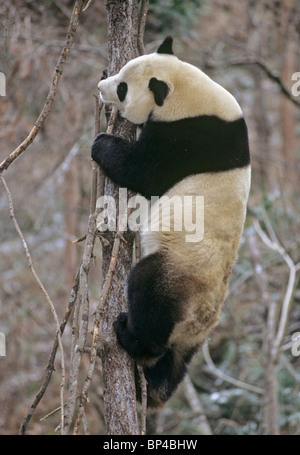 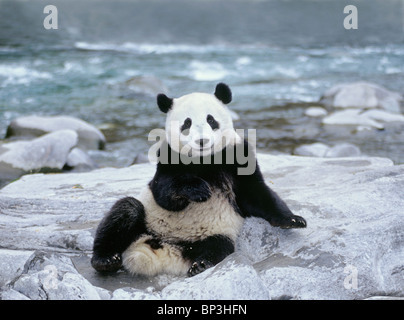 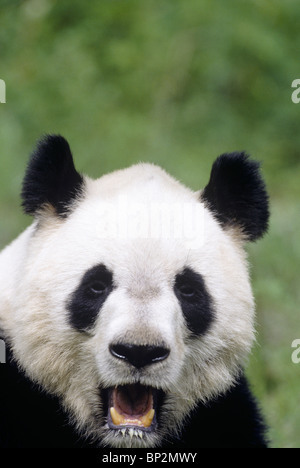 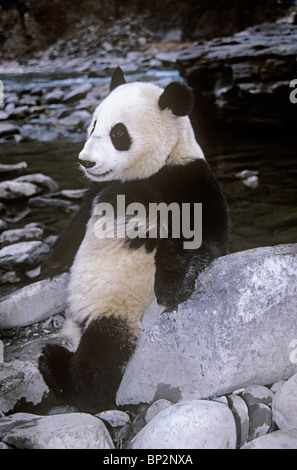 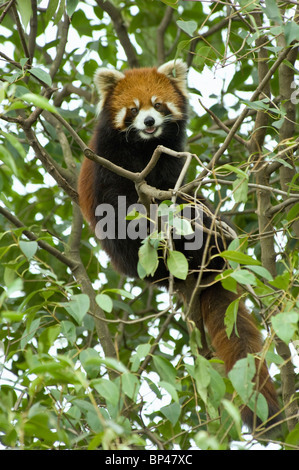 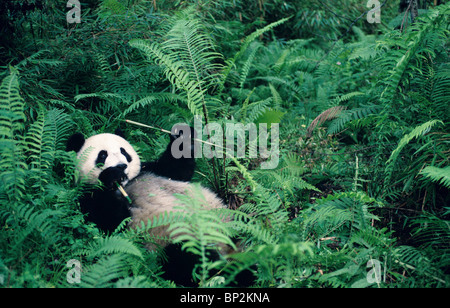 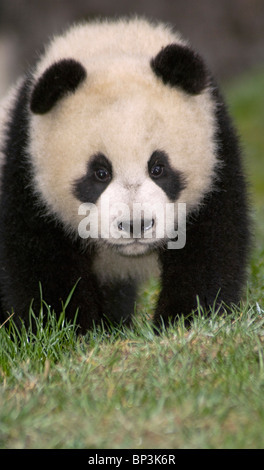 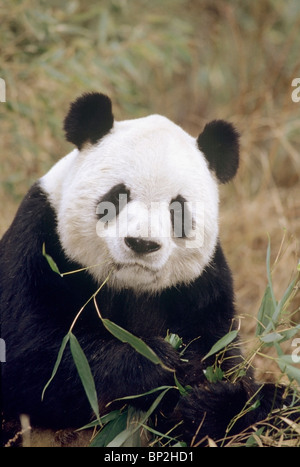 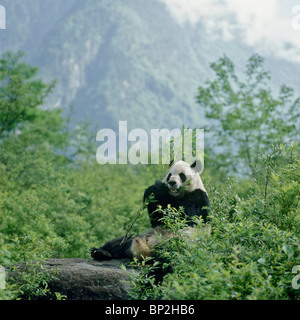 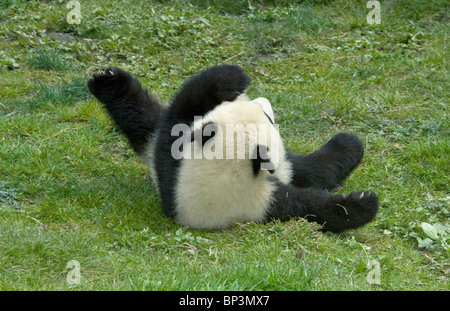 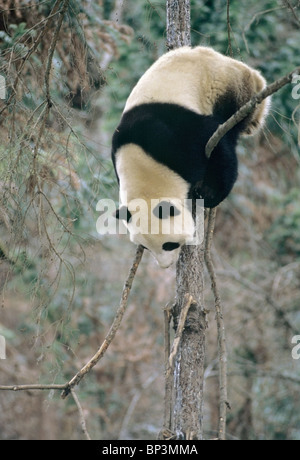 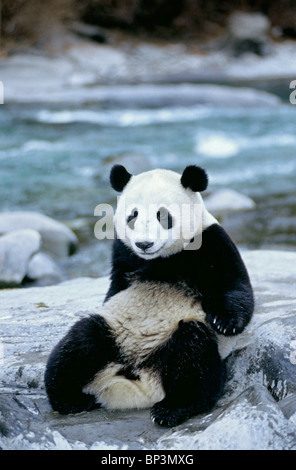 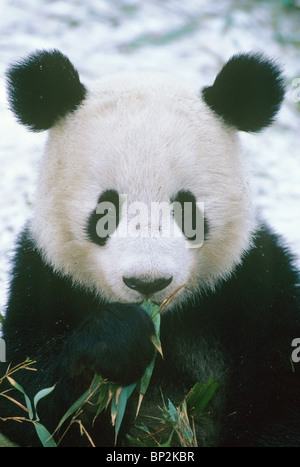 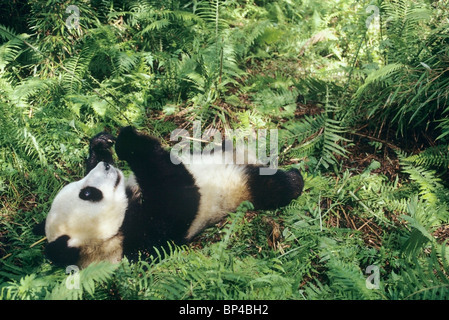 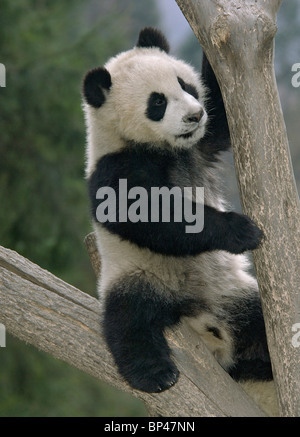 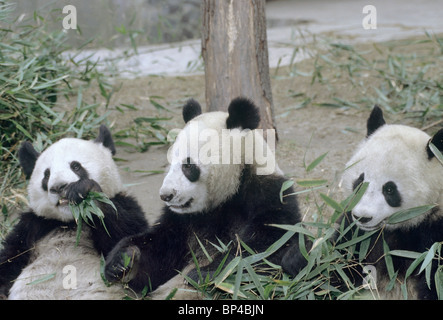 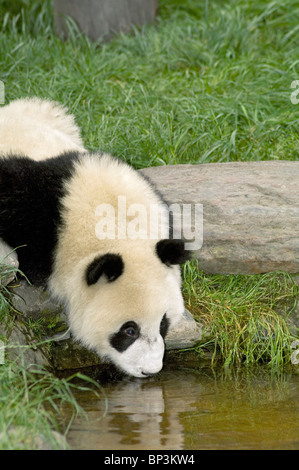 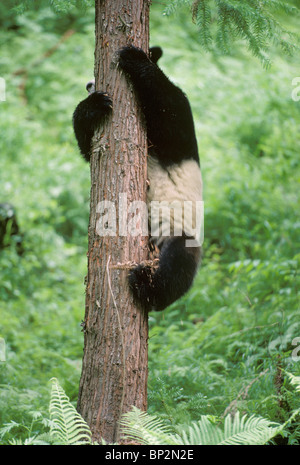 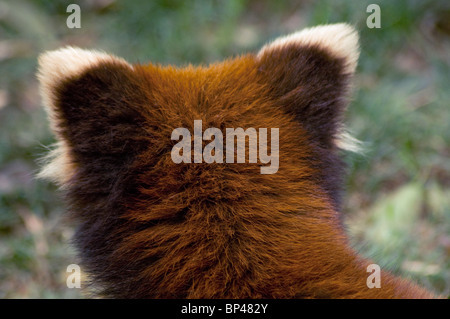 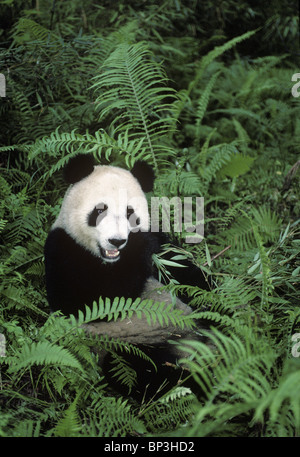 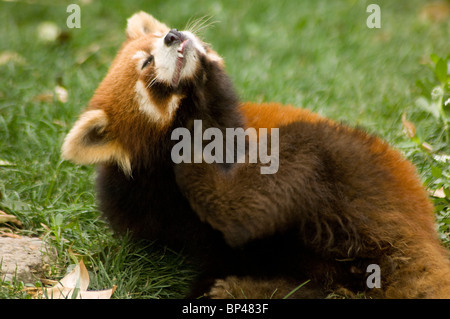 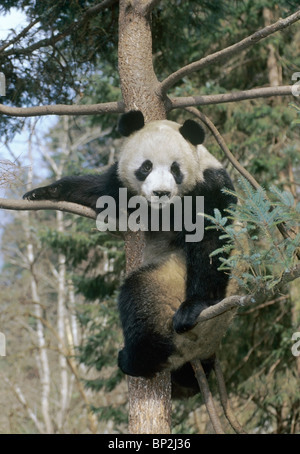 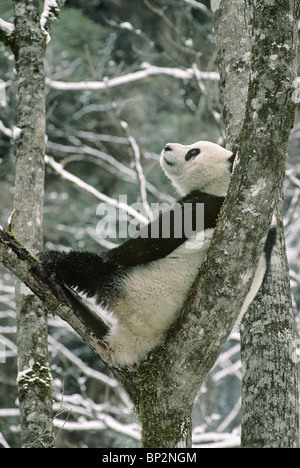 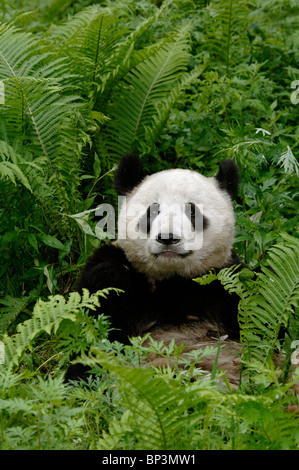 Giant panda feeding on bamboo, Wolong, Sichuan Province, China. 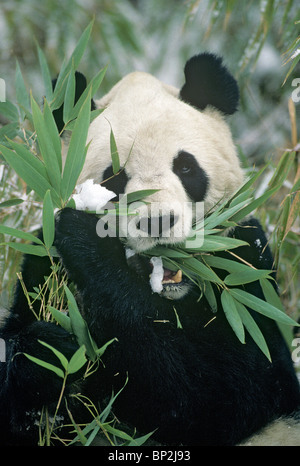 Giant panda feeding on bamboo, Wolong, China. 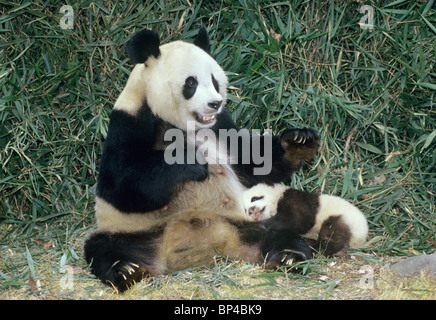 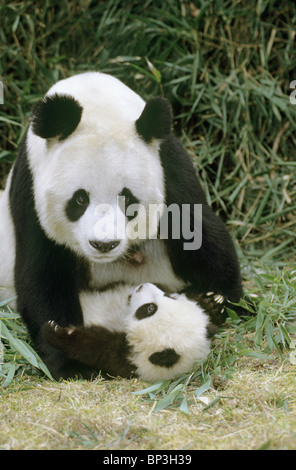 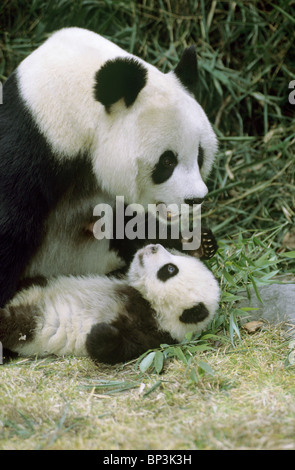 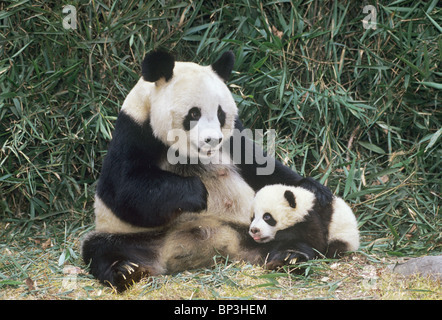 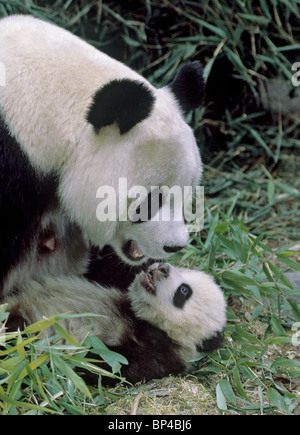 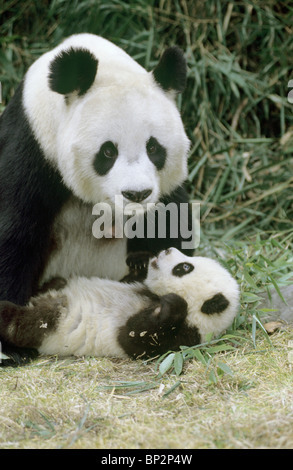 Giant panda mother with 5-month-old baby Wolong China. 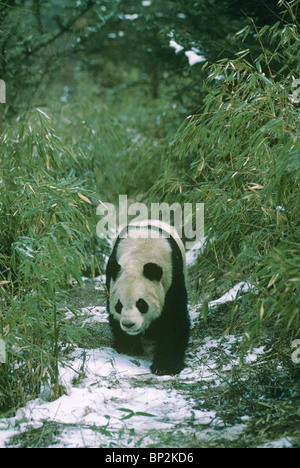 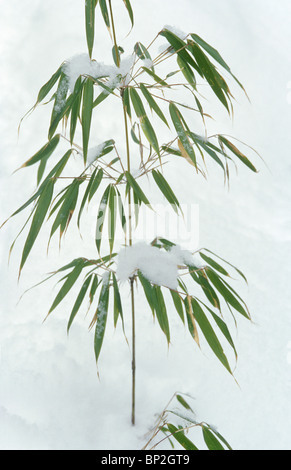 Giant panda walks past bamboos, Wolong, China in winter. 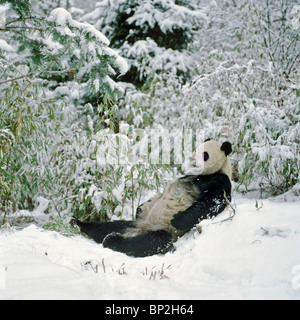 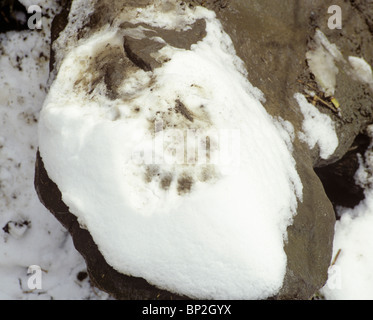 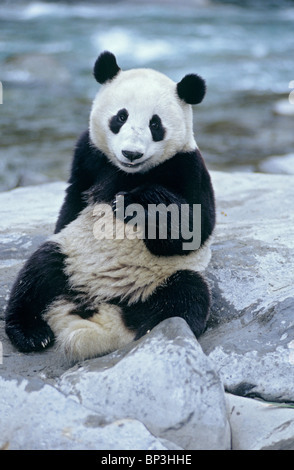 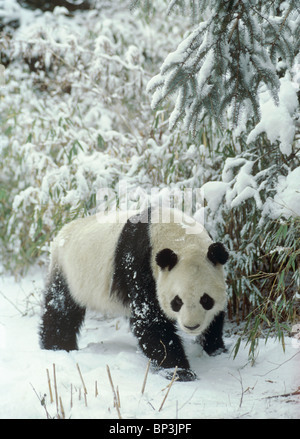 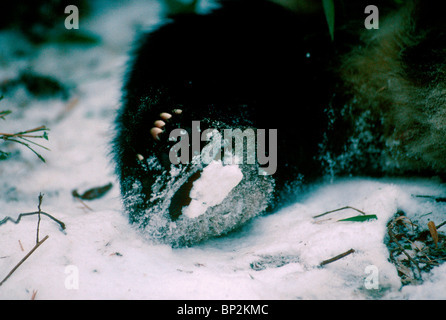 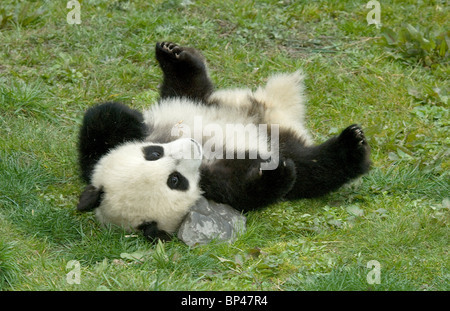 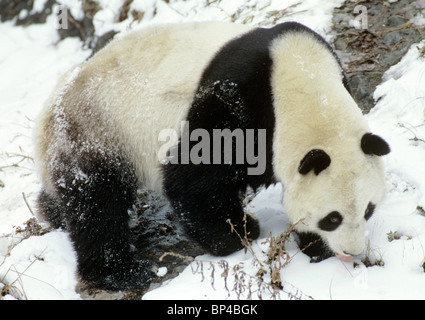 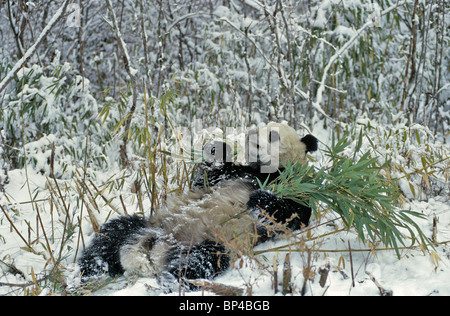 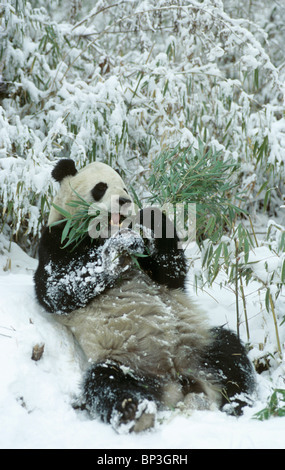 Giant panda lies back in snow after feeding, Wolong China, January. 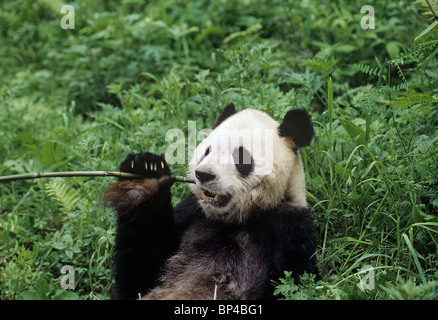 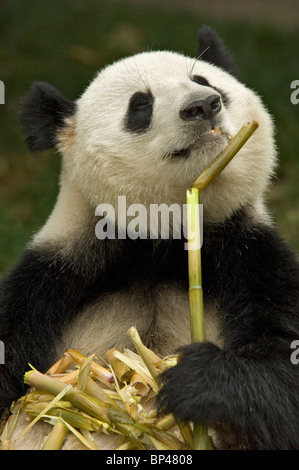 Giant panda feeding on bamboo stem Sichuan Province, China. 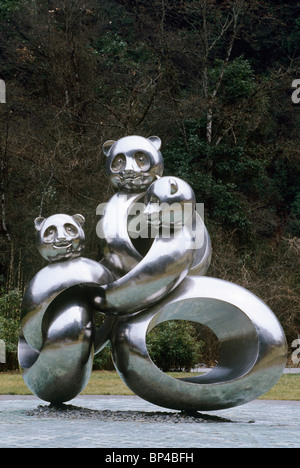 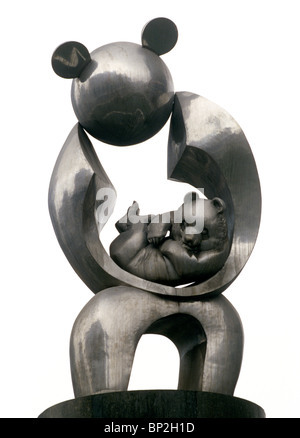 Giant panda mother and baby statue in Chengdu, Sichuan Province, China.